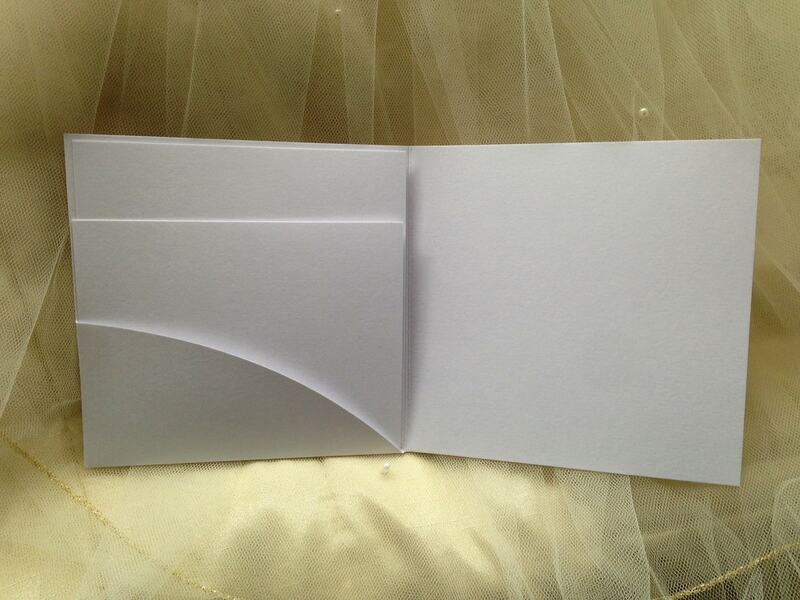 DIY Pocketfold Invitations with a side pocket for inserts. Perfect for making your own wedding invitations. 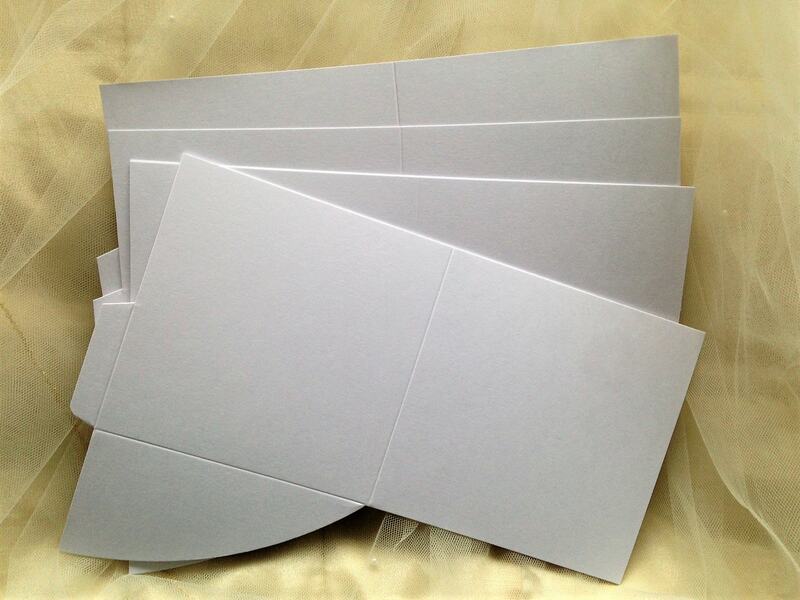 Luxurious heavyweight 300gsm white smooth card. 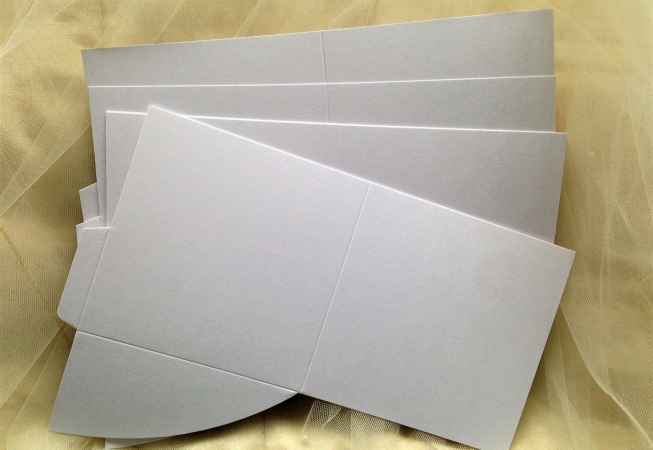 Cards fold to 14cm square. 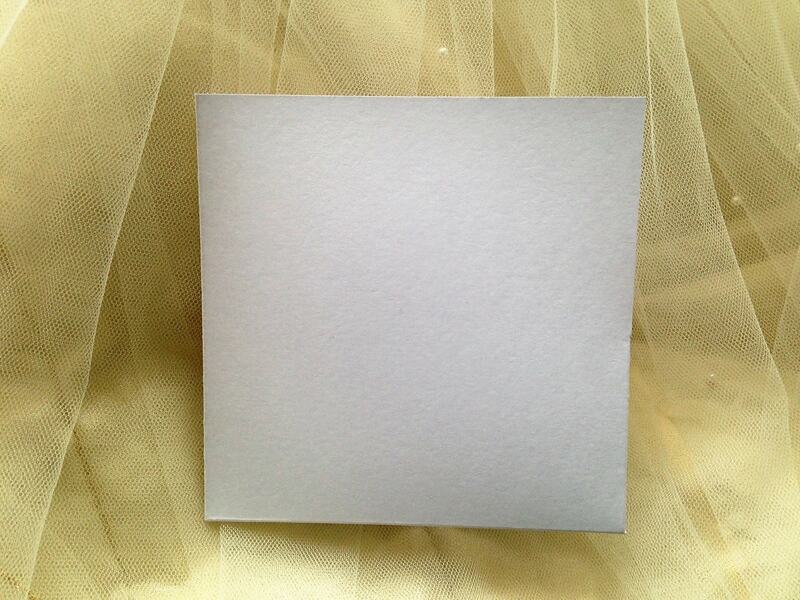 You can purchase a set of insert cards (2 cards as shown in the photograph on matching card for 25p for both cards). Just ask for the inserts in the comments box as you check out if you wish to include them with your order. 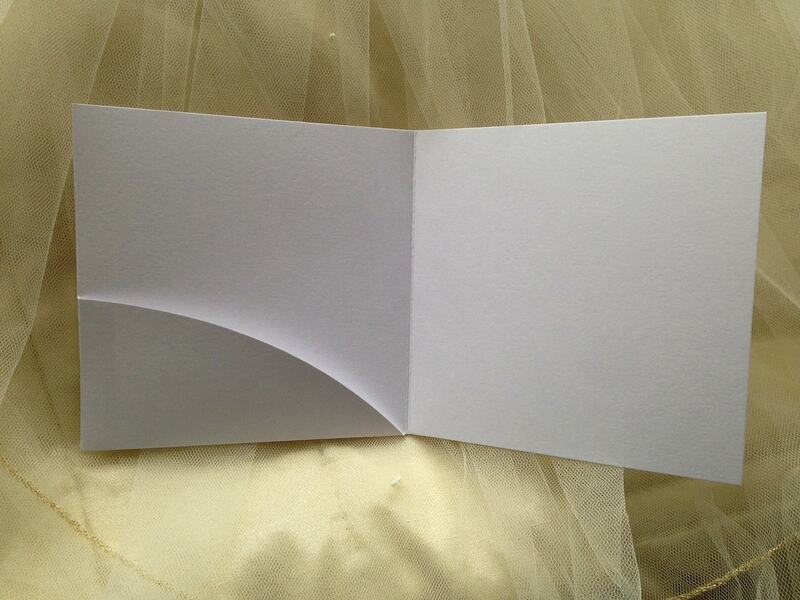 Select a font style to get through the ordering process but please note they are blank unprinted pocketfolds.